Access the App Store on iOS devices or Google Play on Android. 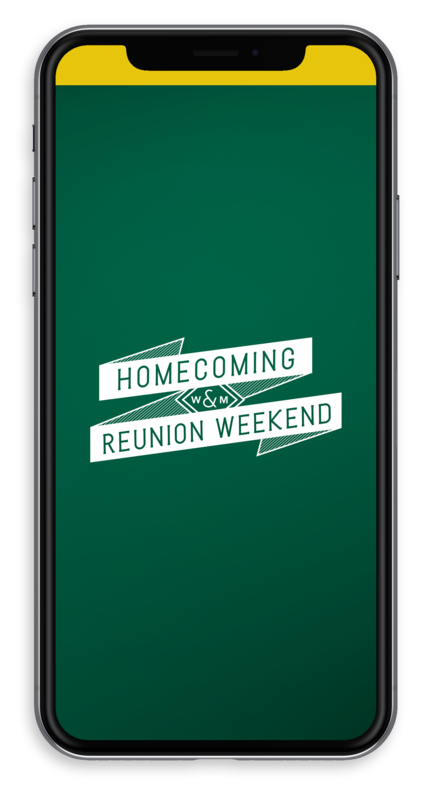 Search for “William & Mary Alumni Events.” Once you’ve found the app, tap Download or Install. After installing, a new icon will appear on the home screen. Tap on the three lines in the top left-hand corner and click Login for more features! Enter your details. Enter your first and last name where prompted, then tap Next. Enter the email address you used to register for Homecoming, then tap Next. For security purposes, an email or text message containing your verification code will be sent to your inbox. Access your email or messaging platform on your device to find the verification code. Then return to the app to enter the code and click Verify. You are now fully logged into the app!